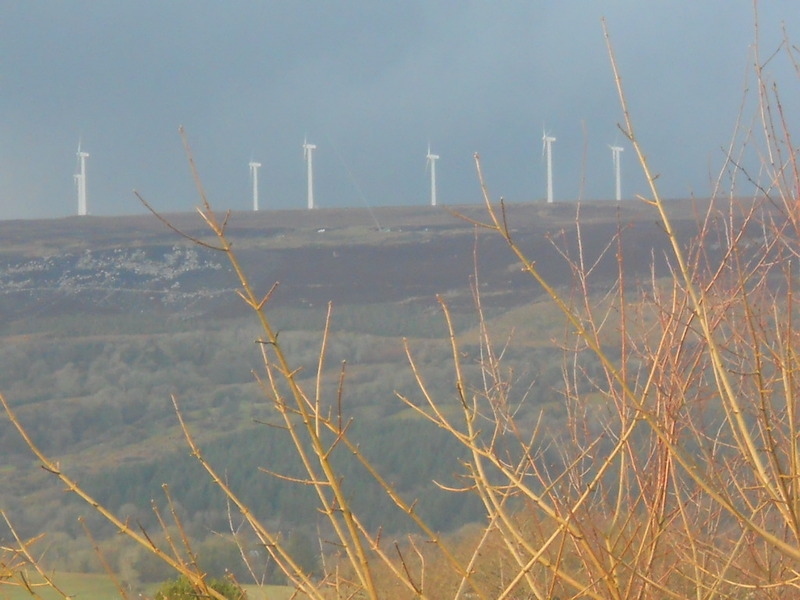 The wind turbines on Kilronan Mountain stand out against the dark blue stormy sky. 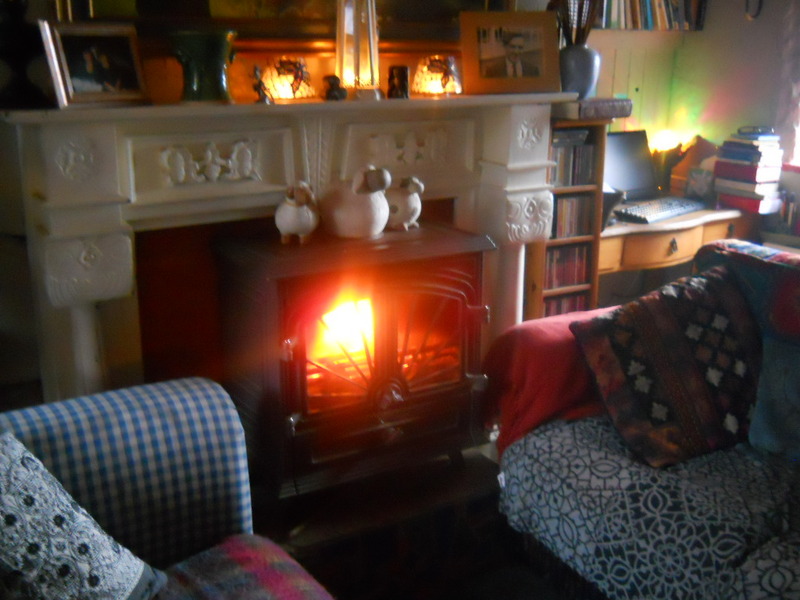 Anticipating a cold evening I have chopped lots of wood for the sitting room stove for tonight! I have worked out a new site for a big, big compost area, now edged with willow. I figured that the willow would take up all the extra nitrogen around the edges and provide yet more harvest-able supplies for basketry! 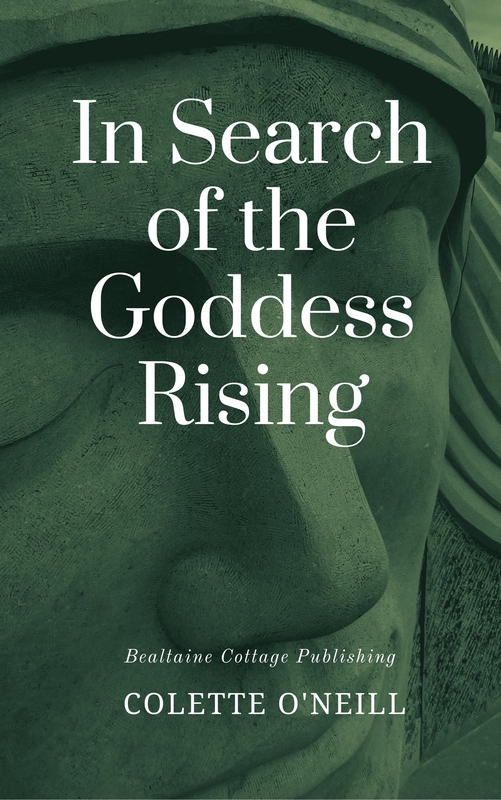 It is always a challenge to work out better ways of doing things…I’m hoping that this will be very productive! Coppicing some of the ash trees on the land will be carried out before the sap rises in the wood…this takes place in early Spring, though the ash is the last tree to come into leaf and usually the first to lose it’s leaves. 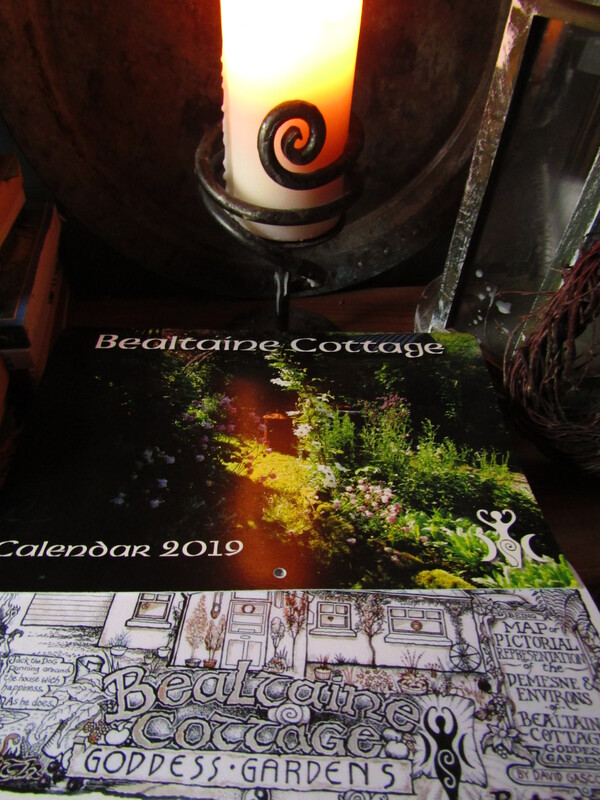 About half the wood burned in both stoves here at Bealtaine Cottage comes from the smallholding. This will increase steadily over time. Ash can be burned on the day it’s cut, so is a valuable timber to grow and it’s also a hardwood. Ash is a very fast growing tree here in the west of Ireland. 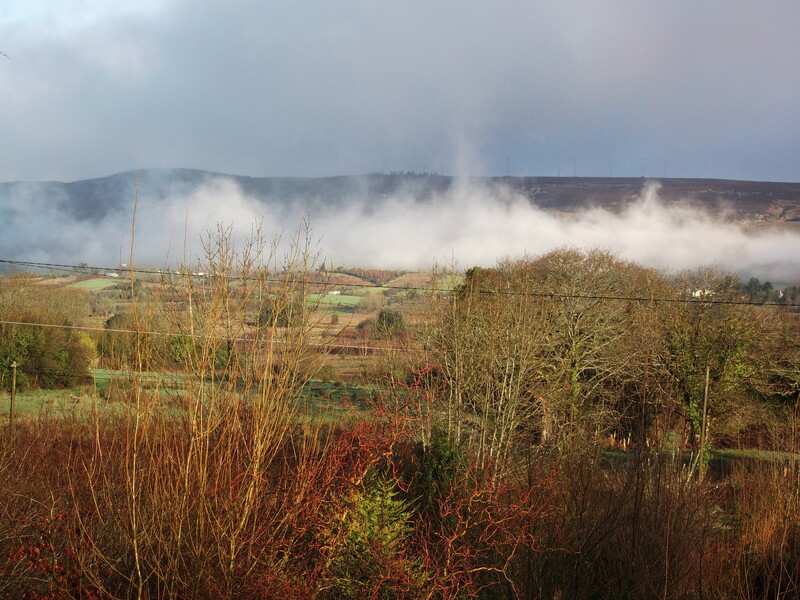 The forecast for the next few days promise frost, icy patches and sleet. 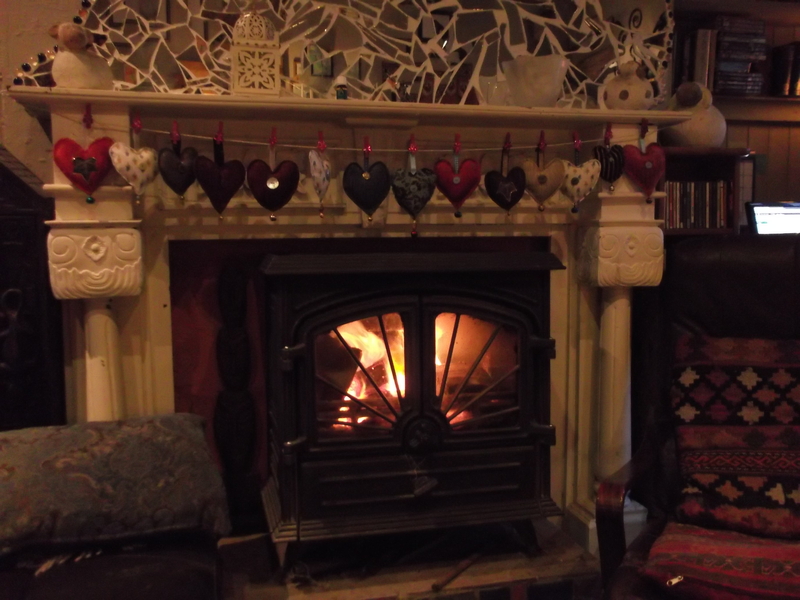 At times like these, it’s great to have a stove alight that also heats the water and feed the radiators in the cottage. 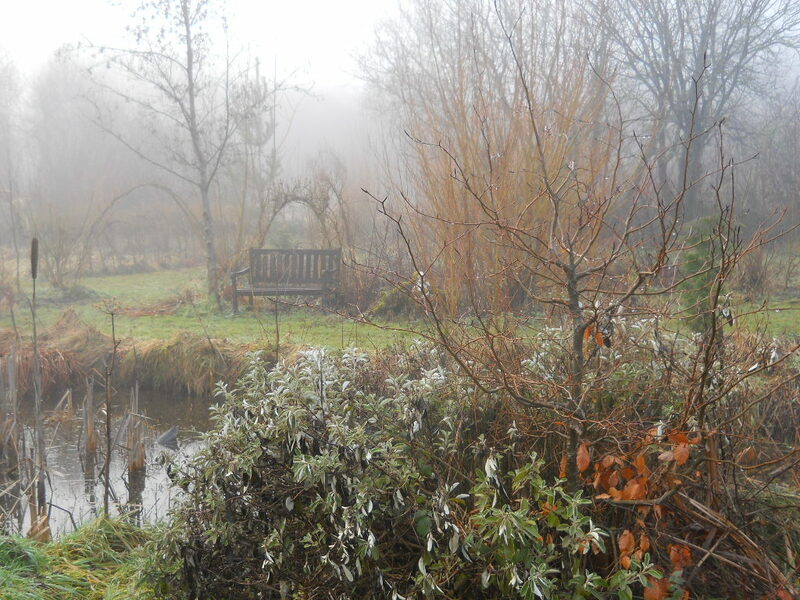 It remains fairly mild overall though and the frog spawn in the lower pond appears to be doing fine! There’s lots of excellent information from a cursory glance through it…a snuggle up on the sofa night is in order, tea and reading! On the subject of reading, I was thumbing through ‘Hello,’ magazine in a shop and was surprised to realize that I did not actually recognize anyone in all the photographs…is this because I do not have a television? Good on ya for expanding the compost area. In my little place here in Oregon, I have several swamp maples (Acer negundo) that give me much compost material. 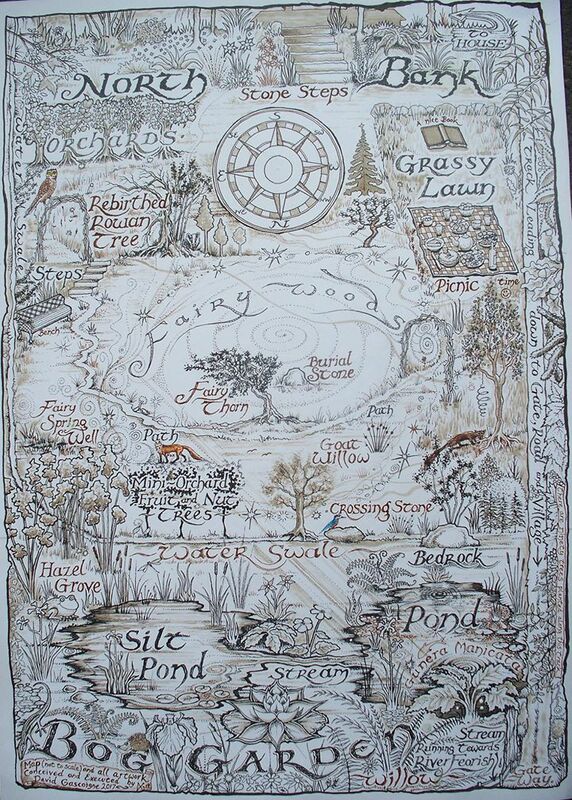 The tree is fast growing, has excellent wood for turning or carving and the leaves make a great compost. It seems to like boggy places. I have it planted near the compost area and make sure to coppice it every year lest it get too tall and cause the neighbors (and me) fits. 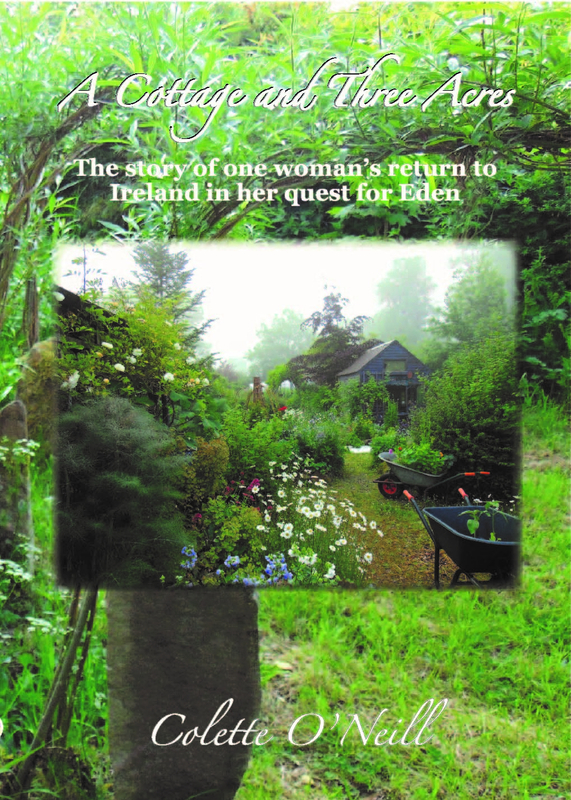 It puts off many seeds which I would be happy to send you if you are interested. 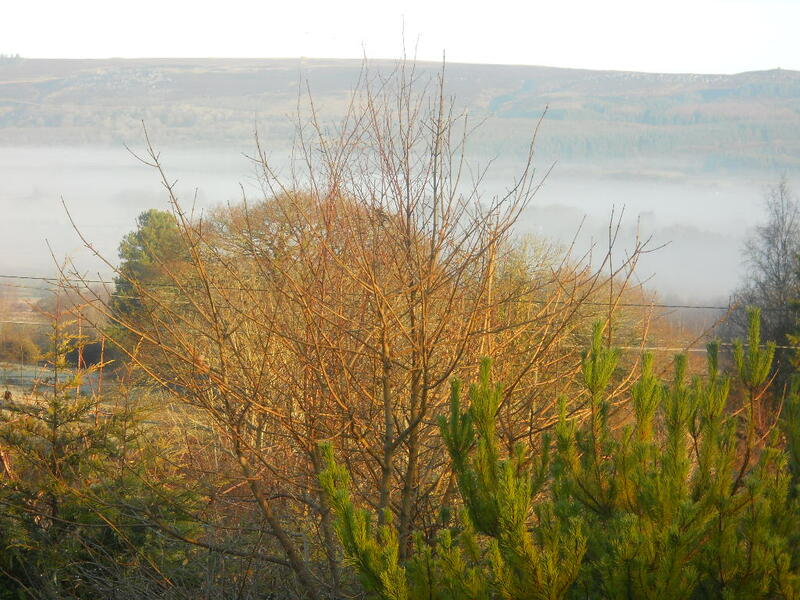 Which variety of Ash grows on your smallholding? The native variety here is Rowan, (Sorbus aucuparia), or Mountain Ash. Thanks again for your blog. Lots of inspiration and great ideas! Thanks a million for your kind offer, Eric…I’m seriously wondering if that tree would grow here! I can imagine hoards of people from far and wide coming to see the ‘Oregon,’ tree…it may become a tourist attraction…LOL! I will research the name of the Common Ash and put it out on my next blog, especially for you! I’ve been on another basket weaving workshop today and am totally whacked! 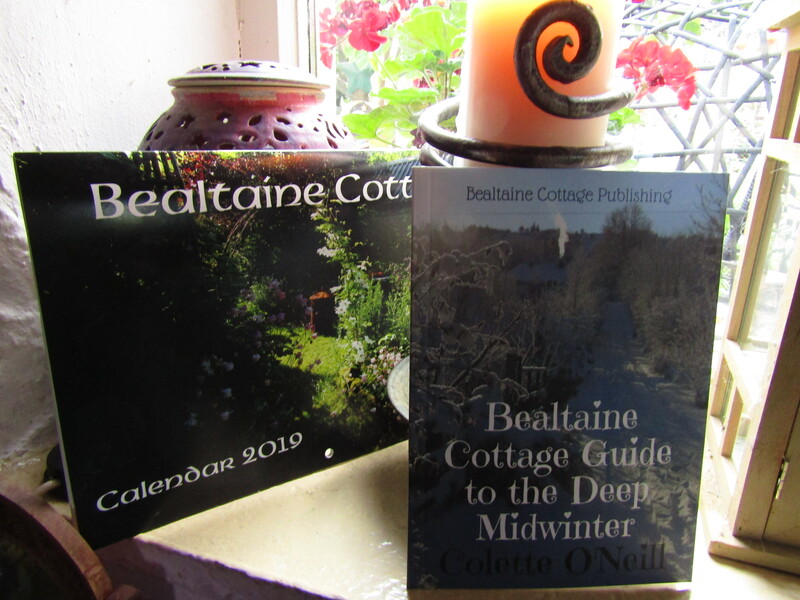 Thanks for your lovely words…I am always so very glad to hear that Bealtaine Cottage continues to inspire and send out good energy…Bless you for appreciating it! 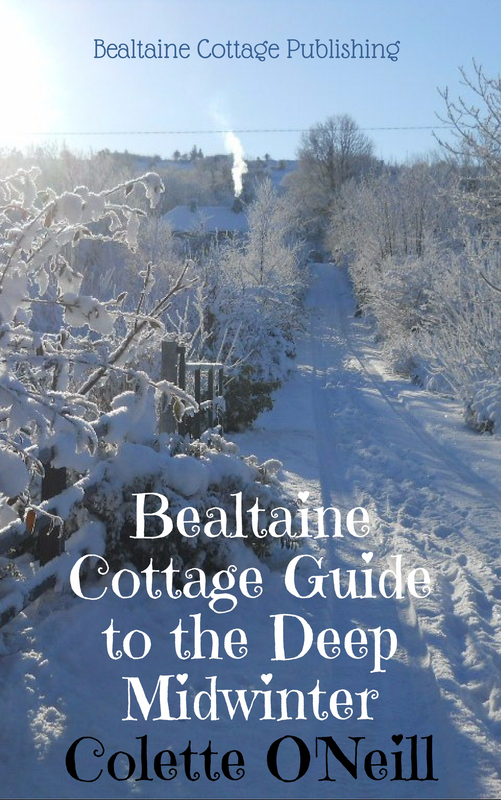 Really love reading about your smallholding. I grew up on a farm in Georgia and miss it. Love the felted picture; so beautiful, it looks like an Expressionist painting. Are you making a new compost area because you need one that is bigger and will produce more garden compost more easily? 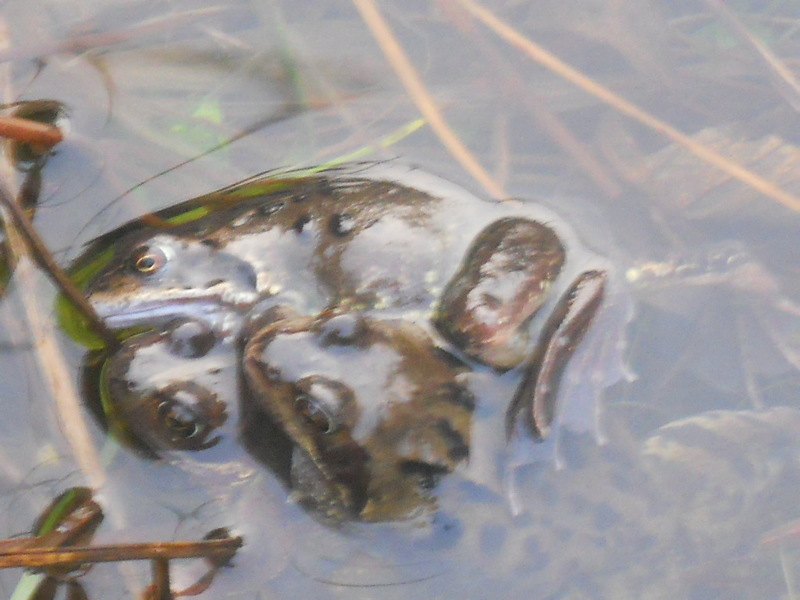 Glad the frog spawn are doing well; hope they don’t have to face a freeze soon. Smiles. You’re right…I need a much bigger compost area, due to the fact that as the land was planted out 7 years ago, much of the planting needs pruning, coppicing, there’s leaf shed, grass cuttings(paths), hen litter, household waste and so on. I began with one compost bin, last year that increased to 5, so the time has come for a BIG compost area!